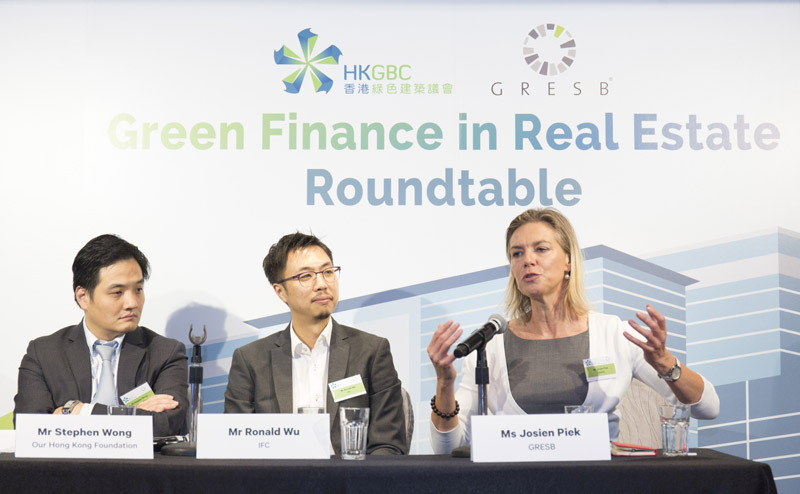 (12 May 2018, Hong Kong) A recent collaboration between Hong Kong Green Building Council (HKGBC) and international ESG performance benchmarking agency GRESB brought a series of events during 9-11 May in Hong Kong that initiated in-depth discussions on the latest development of green finance, providing both global and local perspectives to different stakeholders in the real estate industry. 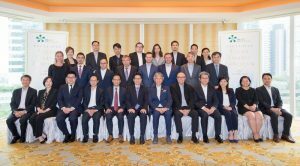 Exclusive Green Finance Luncheon features Government official, top level management and chief financial officers of major developers in Hong Kong, as well as experts from GRESB for a fruitful sharing on green finance development. On 9 May, the GRESB-APREA Green Real Estate Financing & Investing Seminar first examined real estate opportunities in the context of green finance and investment strategies. The seminar, which was supported by the HKGBC and WorldGBC APN, was well-attended by over 130 participants including many HKGBC Members. Green Finance in Real Estate Roundtable discusses various topics of green finance development among professional institutes, think tanks, public bodies and representatives from financial and construction sectors. The Roundtable co-organised by HKGBC and GRESB on 10 May focused on analysis of the market enablers, relevant frameworks and standards as well as government regulations and the impact to real estate sector, with the presence of professional institutes, think tanks, public bodies and representatives from financial and construction sectors. Speakers discussed the green finance instruments that are available, such as green loan and green mortgage, and how these emerging tools could fill the investment gap created by the opportunities from the climate actions and the Paris Agreement, as well as the development needs in China, while guests were engaged in a dynamic exchange of ideas. 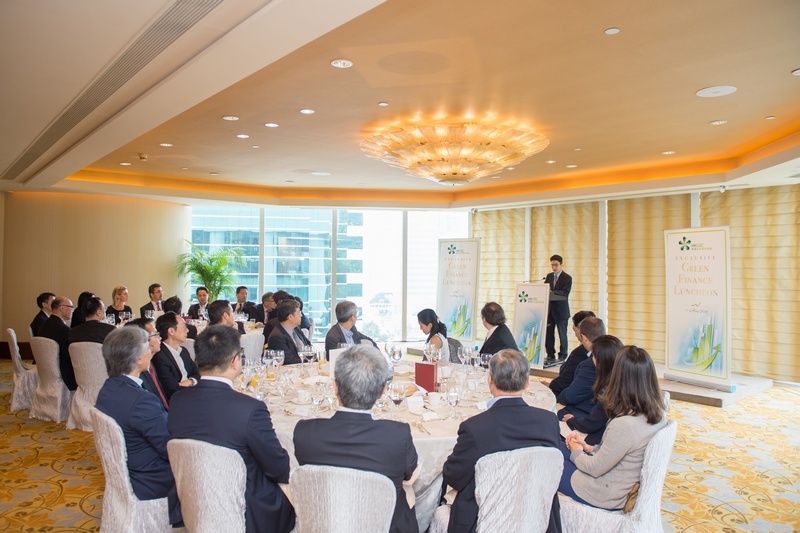 The event series concluded with an Exclusive Green Finance Luncheon hosted by the HKGBC on 11 May with a strong guest line-up featuring top level management and chief financial officers of major developers in Hong Kong. Mr Joseph Chan, Under Secretary for Financial Services and the Treasury of the Government of the HKSAR was invited to share the latest government policy on boosting green finance. Sharing of first-hand experience of green bond issuance from Swire Properties, The Link and MTR offered interesting insight like the immense demand of green financial instruments from European investors, which was valuable for peer developers’ upcoming action in green finance market. Mr Joseph Chan, Under Secretary for Financial Services and the Treasury talks about the latest government policy on boosting green finance during the Exclusive Green Finance Luncheon. The Green Real Estate Finance Event Series is a fruitful beginning to HKGBC’s future conversation and engagement with the financial sector, which is also a vital step for the Council to lead a comprehensive market transformation in Hong Kong for the creation of a sustainable built environment.